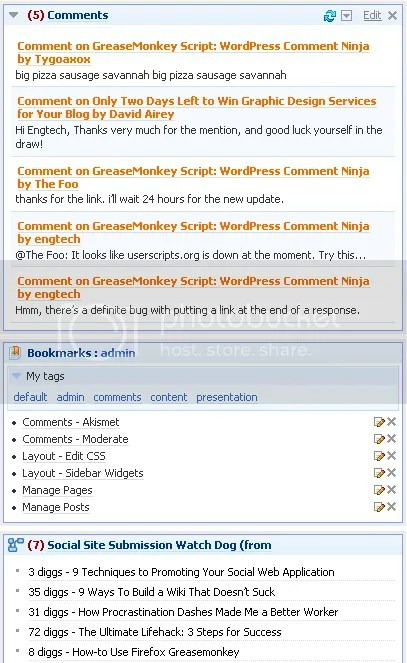 RSS feeds are like cookies (that are good enough for me). Best of Feeds is a weekly collection of the best stuff I saw on the Internet this week. They’re saved on delicious and stumbleupon and cross-posted to Twitter and Tumblr as they happen and then collected together on Saturdays. 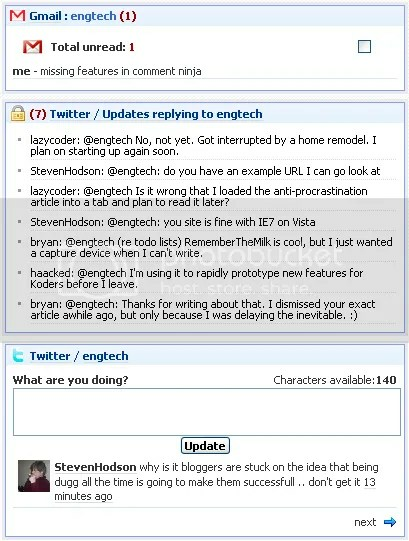 I don’t blog on the weekend so read these links instead.Subscribe to //engtech to see this every week (or get it by email). Hacker found a backdoor and used it to take over David Airey’s website. So true, I use the library at least twice a month. More of David Airey’s loss of control over his domain name. Microsoft’s live.com is offering email addresses, and the usual land grab rush is on to “secure” your identity on the service. What most people don’t realize is that securing a “prime real estate” email address is probably the LAST thing you want to do. An obvious email address suffers from an insidious kind of spam you’ll never be able to properly filter or get rid of: I’m talking about wrongly addressed email. As a gmail beta tester I was lucky enough to grab several firstname@gmail.com accounts and a couple of firstinitiallastname@gmail.com accounts. It was fine for the first year, but it has rapidly gone downhill as Gmail has risen in popularity. Now when I check my primary email account I’m lucky if one in four emails were intended for me. I’ll get university class mailing lists, church lists, hotel bookings, and account signups by the handful. It’s the digital equivalent to rifling through the magazine rack for subscription cards to sign up your ex. Except there’s no malice behind it; only ignorance and carelessness. What makes it doubly-worse is that with many email programs automatically collecting any correspondence to your address book means that telling someone they have the wrong address might be enough to get you added to their address book forever. If you choose an email address with your last name, chances are that the people emailing you might have the same last name — automatic address collection means that you’ll be on the receiving end of each other’s Christmas newsletters for who knows how long. I know I sound ridiculous, but you really can’t appreciate the number of similar email accounts on services like @gmail, @hotmail, @yahoo and now @live until you get a popular email address and start seeing the effect of several people who give out the wrong account name — yours. And out of all those wrongly addressed emails there was only one mis-sent dirty letter. Like most people who grew up in the last quarter of the 20th century I have been inundated with information technology since a very young age. 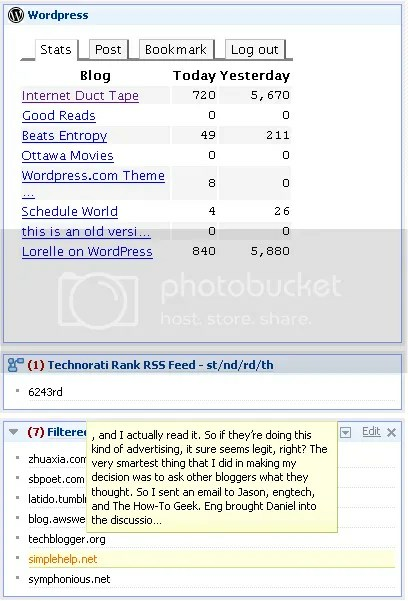 I had one email address in high school, two others during university, and new email addresses with each job and change of internet service providers. For the last few years I’ve been stabilized on Gmail, but I still switch between four different accounts (real name, nickname, gaming, blog). Schizophrenic? Yes. Email aside, I use around twelve different online user accounts over the course of a week, and many more irregularly. When it comes to those dusty accounts I often have to use the password recovery feature to retrieve my login information over email. Despite my distaste for OpenID, I have to admit that I see the appeal. Password recovery works fine only if you can remember which email account you used to sign up with and you still have access to it. Jobs change, ISPs’ switch, and that free web-based email account you got in 1999 eventually goes down. It was that last scenario that blindsided me. Like any other web account, Gmail’s recover password feature will send a verification message to your secondary email address on file. In my case that secondary email address was a free account I used infrequently in the hazy years following the turn of the century. Because I used it so infrequently I had no idea that it had been sold and was under new ownership. 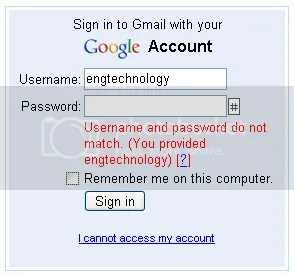 And I would have remained ignorant for much longer if I hadn’t been using a common name for my gmail account. 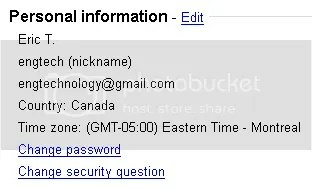 Being a Gmail beta tester had it’s perks, one of which was being able to grab the good names before anyone else could. But as Gmail became more popular, that perk changed into a disadvantage: the world is full of idiots who don’t know what their email address is and put down your email address instead. The amount of spam I receive is almost equal to the amount of misdirected email I get because Erica T. put down the wrong email address when the professor was handing the sheet around the classroom. Often these savants trigger the Gmail password recovery cycle as they try to log in to “their” account. I ignore these password recovery emails the same way as I ignore the misdirected emails. Unfortunately, the good Samaritan who bought the domain my password recovery email was pointing to wasn’t as laissé-faire. Things were eventually sorted out, but not before I had a heart palpitation when he tried to do me a favour by changing my Gmail password and trying to find an alternate means of contacting me. Don’t let this happen to you, and make sure you know what email address the password recovery feature is going to use for your most important accounts. Click on the Google Accounts Settings link. (It’s hidden in Gmail under Settings >> Accounts). Click on the Change Security Question link. Change your security question or your secondary email. Well, I’m not quite sure what the moral of the story is, to be honest. Obviously, there is something to be said for having one email address and keeping it for as long as you can. There is something else to be said for using an email provider who requires voice confirmation with personal identifying information before changing your password. Don’t get me started on the benefits of having an account name that other people are unlikely to use. I know that I’ve got a long boring task ahead of me over the upcoming weeks. I have to assume that any other accounts that were linked to that email address could have been compromised in the 12 hours I lost control of my account. Searches of the trash and sent folders showed no tampering, but that means nothing since a smart person would have just downloaded all of the mail and started data mining with a copy. Can I safely assume because the guy went out of his way to contact me to restore access to my account that nothing bad happened to it? Would you?